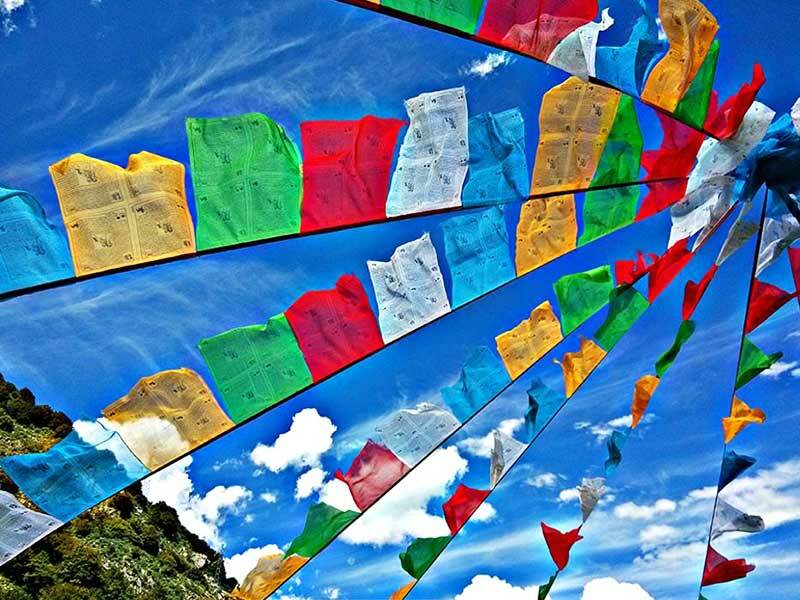 A tradition of Tibetan Buddhists is to write a representation such as a symbol or a picture or name or initial of someone you are “praying for” or “letting go of” on a bit of cloth. The cloth is then tied to a tree. As the wind blows the cloth, we are reminded of the prayer being carried to the heavens. These bits of cloth are here for such prayers. At the back of the Care Center near the Labyrinth, there are ropes on pulleys intended for these cloths. We will have a ceremony three times a year to burn the old cloths to send them the rest of the way to heaven.